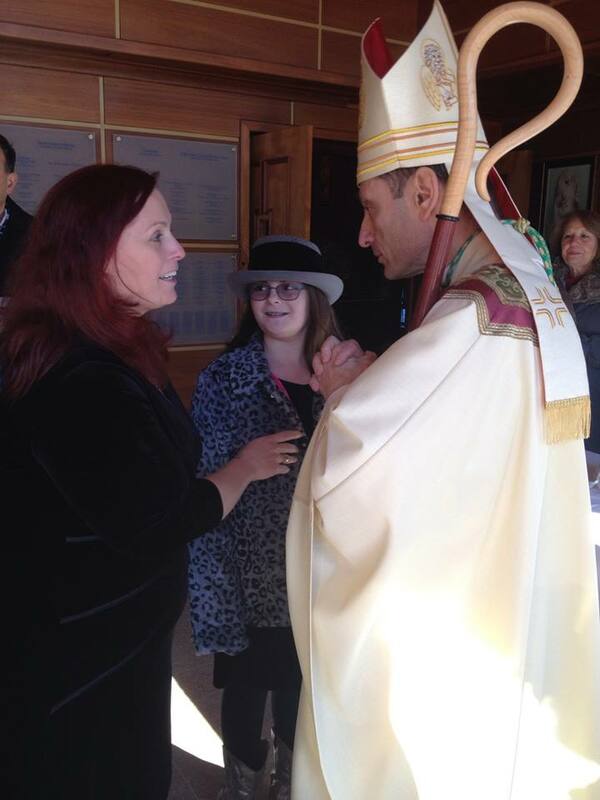 On a chilly Thanksgiving morning when everyone was taking a break from their everyday lives to give thanks, members of Knights of Columbus Council 14360 and their fellow parishioners at St. Matthew Church were given an extra reason to be thankful- a very special visit from Bishop Frank Caggiano, the recently installed Bishop of the Archdiocese of Bridgeport. 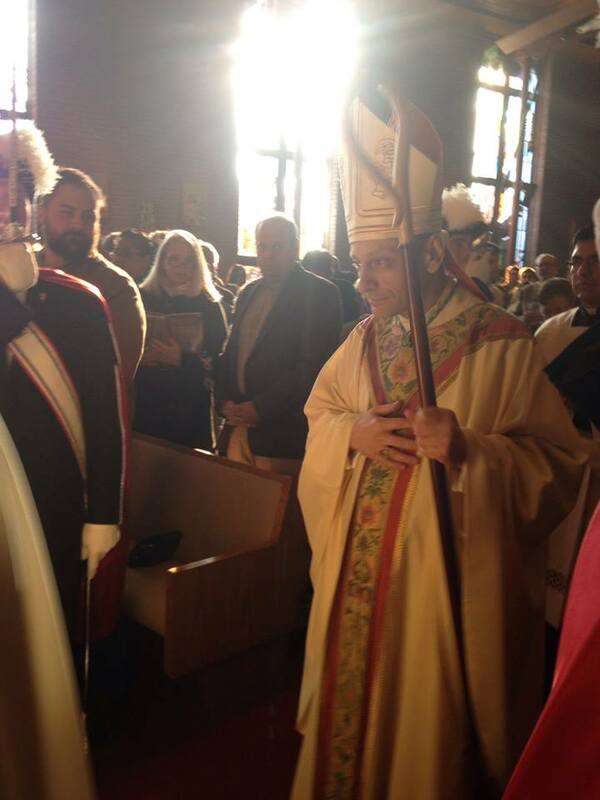 Bishop Caggiano was warmly welcomed to Norwalk by Monsignor Walter Orlowski and the people of St. Matthew’s as he presided over the 9:00 a.m. Mass. An Honor Guard of Sir Knights from Assembly 100 along with their Brother Knights from Council 14360 helped with the proceedings. 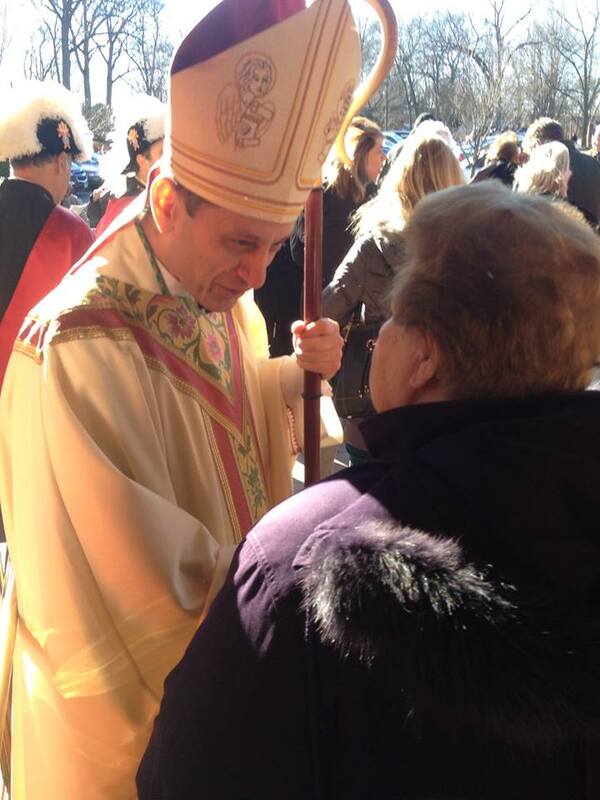 After sharing some inspiring words with attendees at Mass, Bishop Caggiano graciously greeted numerous parishioners, all of whom won’t soon forget this very special Thanksgiving day.